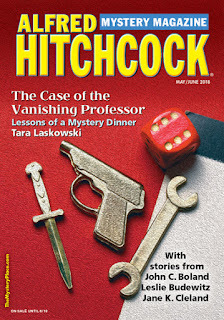 SMFS Member Deborah Lacy’s short story “Taking Care” appears in Alfred Hitchcock Mystery Magazine: May/June 2018. Available at their website as well as at Amazon and elsewhere. 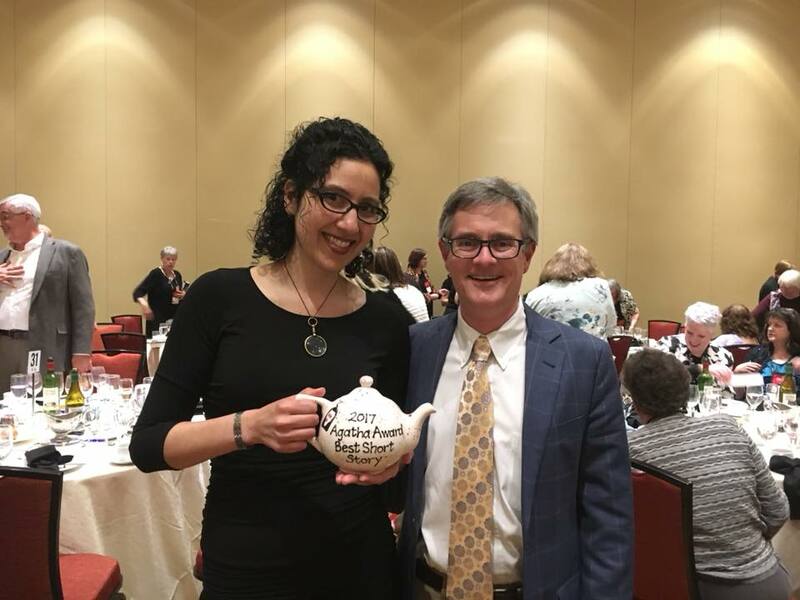 SMFS Member Gigi Pandian WINS an Agatha! 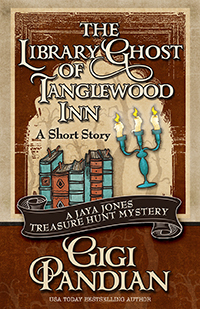 SMFS member Gigi Pandian, nominated in Best Short Story category for the Agatha Award this year for “The Library Ghost of Tanglewood Inn” (Henery Press) won last night at Malice Domestic. The picture on this post was supplied by SMFS member Art Taylor on Facebook. SMFS Member O'Neil De Noux has a historical mystery short story in the new issue of Pulphouse Fiction Magazine: Issue 2. “The Gorilla Murders” was first published in Alfred Hitchcock Mystery Magazine: July/August 2004 (Volume 49, Nos. 7 and 8) and is set in 1889 New Orleans. Detective Jacques Dugas (also seen in The French Detective published in 2014 by Big Kiss Productions) investigates a series of murders in the French Quarter where witnesses describe a gorilla as the killer. SMFS member Carlos Orsi reports that his story, “The Glass Floor” appears in Ellery Queen Mystery Magazine: May/June 2018. His tale is a locked room murder mystery with illegal gambling and South American politics added to the mix. 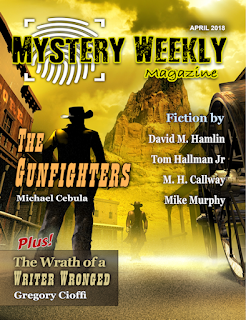 M. H. Callway for “Snake Oil” published in 13 Claws: An Anthology of Crime Stories (Carrick Publishing). Vicki Delany for Blood And Belonging: A Ray Robertson Mystery (Orca Book Publishers). 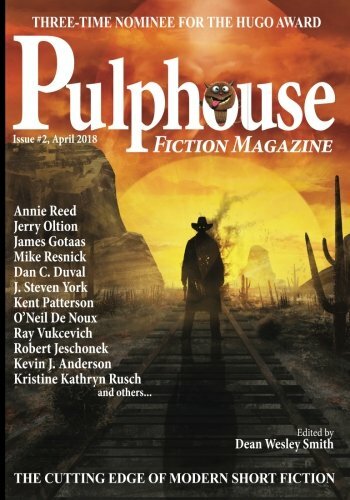 Sylvia M. Warsh for “The Ranchero's Daughter” published in 13 Claws: An Anthology of Crime Stories (Carrick Publishing). Winners will be announced at the Arts & Letters club in Toronto on Thursday, May 24, 2018. More information on the Arthur Ellis awards can be found at their website. SMFS member Peter DiChellis had two stories published recently that are available to read online. Peter’s You-Solve-It mystery “The Action Hero Murder” appears at Over My Dead Body! and his crime-horror story “Gravedigger Blues” was reprinted at Story and Grit (originally published at Yellow Mama in 2013). The finalist stories have been uploaded for reading here. All Shortmystery members as of April 16, 1:15 p.m. EDT may vote here. The polls will close automatically or manually by Noon EDT May 15 so the official winners announcement can appear here on the SMFS Blog and be shared with the public from that afternoon onward. Congratulations and good luck to the 2018 Derringer Award finalists. An April 16–May 15 vote of all present Shortmystery members will determine the winners, and the official winners announcement will be published here on the SMFS Blog. Little Big Crimes Review: Kindness by Tom Hallman, Jr.
SMFS Member Nancy Brewka-Clark’s short story, “One Doe Too Many” now appears online at Near To The Knuckle. 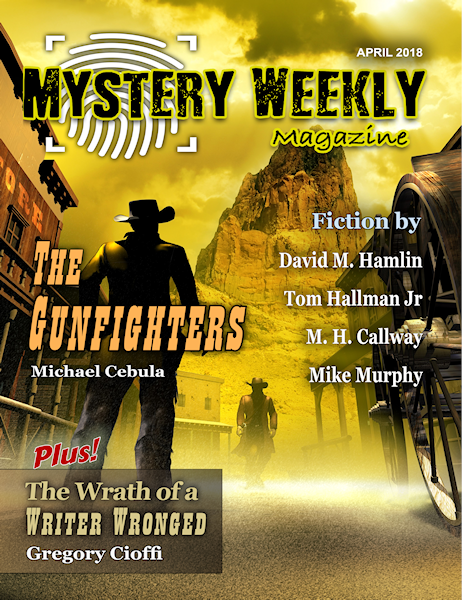 SMFS Member M. H. Callway’s short story, “The Cry” appears in Mystery Weekly Magazine: April 2018. The magazine is available from the publisher, at Amazon, and elsewhere. 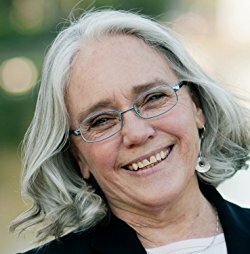 Please welcome SMFS member Edith Maxwell to our blog today as she discusses writing in both short and long form. I am primarily a book author. I have three series under contract, so I write three books every year. But I also love writing short stories. Sometimes it’s fun to branch out and write a short story about a new place, with new characters. 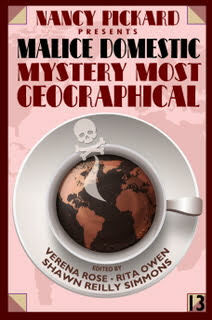 I did that for my submission to Mystery Most Geographical, this year’s Malice Domestic anthology. I lived in West Africa for two separate years, and the second time (already twenty years ago) I wrote a book of essays about my experiences. I figured no one else would be submitting a story set in rural Burkina Faso to the Malice anthology, so I dusted off one of my essays and turned it into a piece of crime fiction. I’m delighted to say “A Divination of Death” was accepted and the anthology will be out in April. Most commonly over the last few years I’ve written shorts using the late 1880s characters and setting of my historical series, the Quaker Midwife Mysteries. I can get my midwife Rose Carroll and her sidekick, postmistress Bertie Winslow, into all kinds of new trouble when it’s short form. One crime, one solution, bam. In one of my stories, “Adam and Eva,” (Kings River Life Magazine, 2016) I tell the tale through Bertie’s voice and not Rose’s, although they work together to solve the mystery. Writing a 300-page book is so much harder in a way than creating a short story. I invariably trudge through the muddle in the middle, even now as I write my 19th novel. I have to keep my arms around everything I’ve written up to that point and still keep the story moving forward until we get to the exciting climax. By now I know I can do it, so I no longer lose hope (well, I do just a little). And I’ve more than once had to kill off a new victim so I can keep the suspense up. 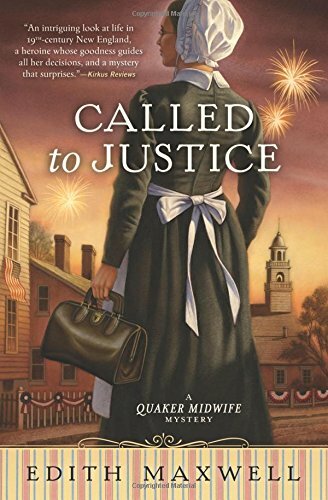 I guess I’m doing something right – for two years in a row one of my Quaker Midwife mysteries has been nominated for an Agatha Award for Best Historical Novel, with Called to Justice nominated this year. Delivering the Truth was also nominated in the historical category for a Macavity Award last year. On the other hand, writing a great short story, with nothing superfluous and a twist at the end? That’s a challenge, too. I’ve had several stories nominated for an Agatha Award, “The Mayor and the Midwife” being the most recent, and yes, it features midwife Rose Carroll. But I’ve never won the award, so clearly I have more work to do. Until then, I’m happy to lose to my talented fellow Short Mystery Fiction Society friends. 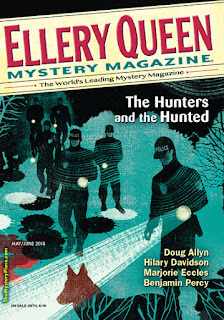 Agatha- and Macavity-nominated author Edith Maxwell writes the Quaker Midwife Mysteries, the Local Foods Mysteries, and award-winning short crime fiction. 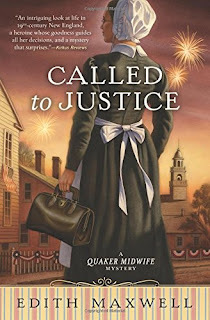 Called to Justice, Maxwell’s second Quaker Midwife mystery, is nominated for an Agatha Award for Best Historical Novel. As Maddie Day she writes the popular Country Store Mysteries and the new Cozy Capers Book Group Mysteries. 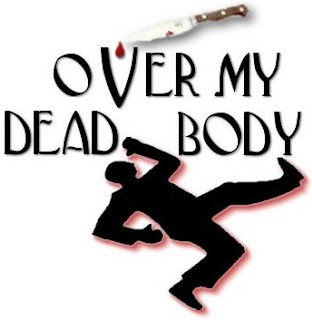 As Tace Baker she wrote two books in the Lauren Rousseau Mysteries. Maxwell is president of Sisters in Crime New England and lives north of Boston with her beau, two elderly cats, and an impressive array of garden statuary. She blogs at WickedCozyAuthors.com, KillerCharacters.com, and Under the Cover of Midnight (http://midnightinkbooks.blogspot.com/). Read about all her personalities and her work at edithmaxwell.com. SleuthSayers: Who Do You Trust?